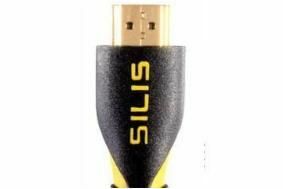 Silis to launch 'future-proof' Discovery 3D HDMI cable | What Hi-Fi? The Discovery 3D is a high-speed HDMI cable with ethernet (formerly known as v1.4 specification, and still known as that according to Silis contrary to the recent ruling). You'll find support for 3D TV, and future TV technologies such as 4k TV and additional colour space modes. This new Silis HDMI cable also supports an audio return channel, allowing you to send audio upstream via this single HDMI cable. Double-screend and with 24k gold-plated plugs, the Discovery 3D HDMI cable from Silis is due on sale in the new year. Price TBA.